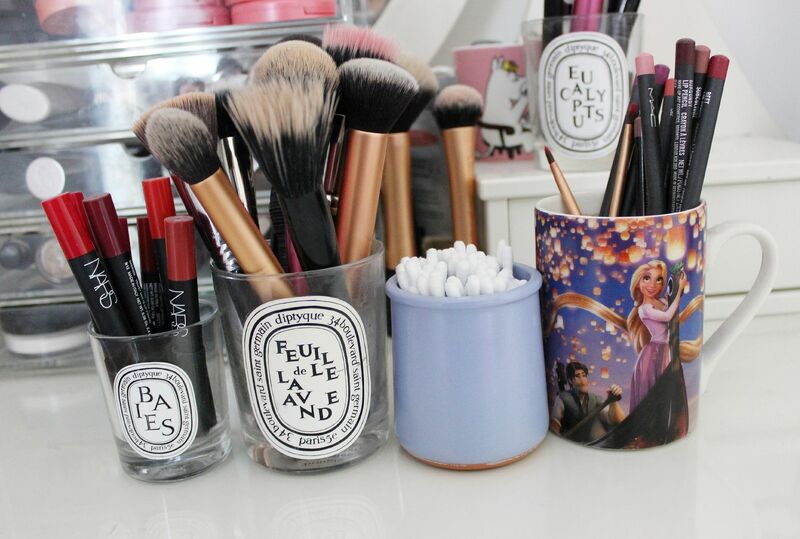 The little purple pot with cotton buds in it was once a yoghurt pot (a very fancy yoghurt pot, obviously), and the mug is just too pretty not to be displayed. 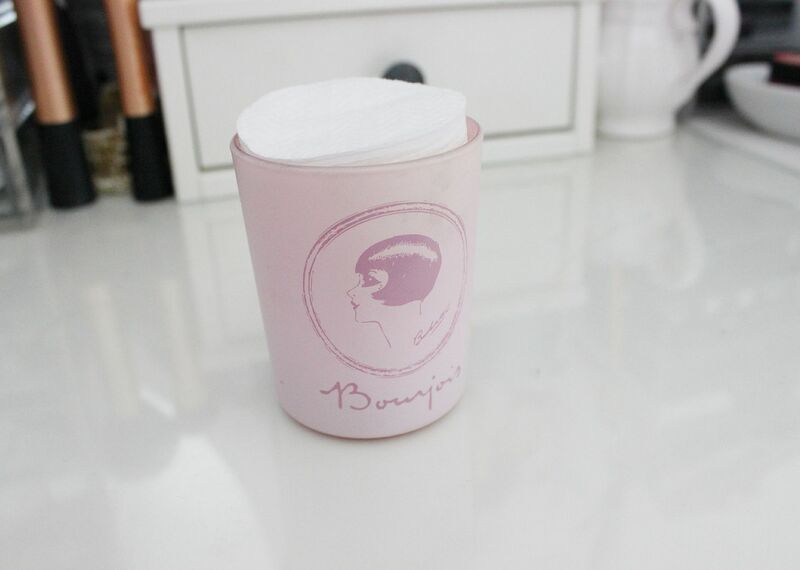 The Bourjois candle now houses my cotton pads, which looks much nicer than the plastic wrapping they come in. When I re-use candles, I pour boiling water into them to get rid of the wick/ any remaining wax and then leave it for a little bit to cool down. Using a sieve, I pour the water away, and then wipe the candle clean.